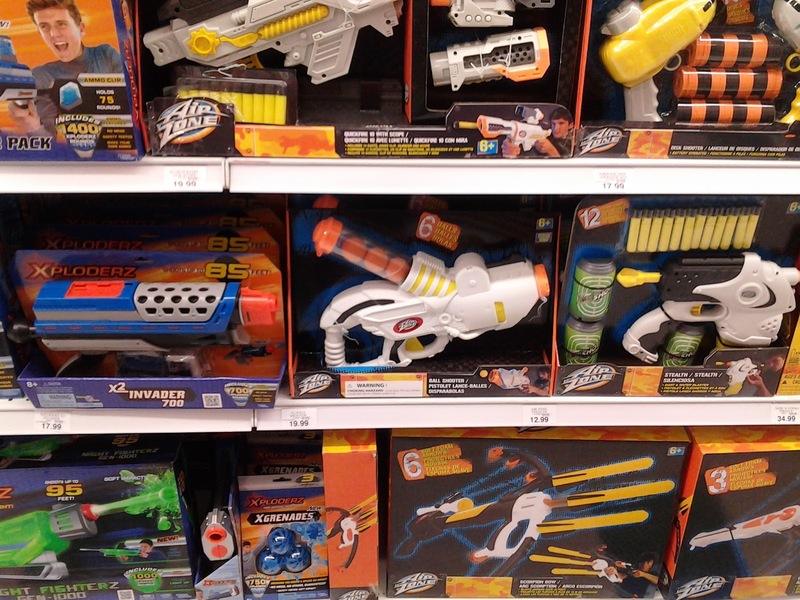 Buffdaddy Nerf: New Air Zone Blasters Spotted! There's also a repaint of the Lanard Rotator X-8 Revolver. A mediocre blaster, but a fun one, due to its uniqueness. It's $10. There are two major highlights, neither of which is widespread at this time. 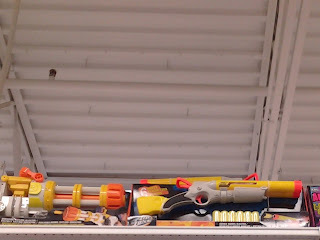 I came across these blasters at two different stores, and an employee confirmed that, at least for the first blaster, only 7 stores in Ohio had it in inventory at this time. Needless to say, I was excited. 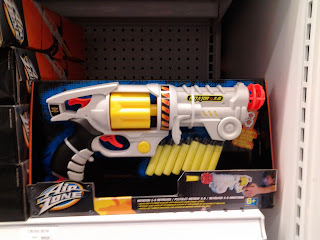 The first cool new blaster is creatively named "Dart Shooter". Yep, lots of thought there. But ignore the name, and look at the product! 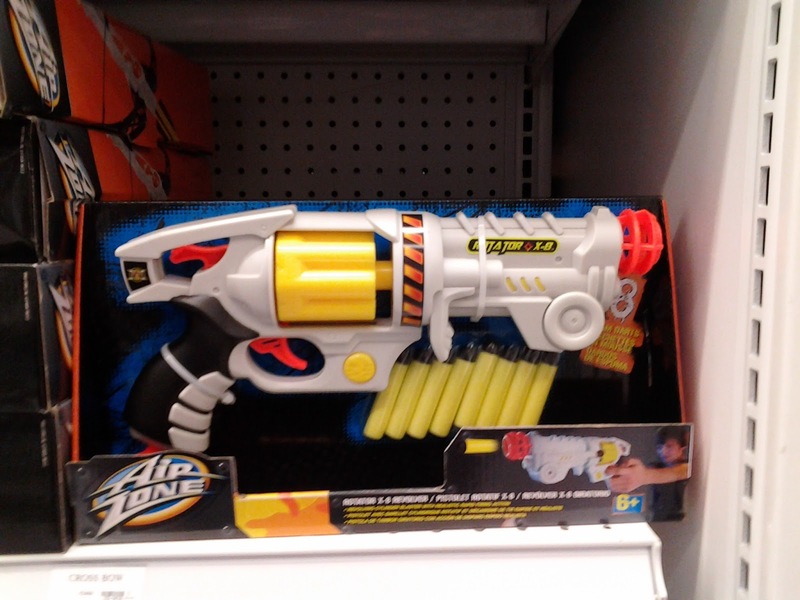 It turns out to be an updated Buzz Bee Hunter. 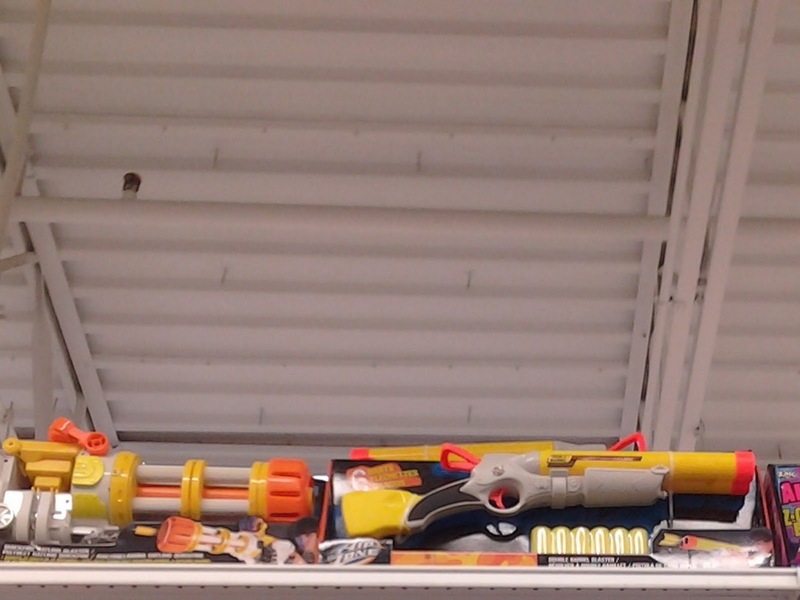 Pump-action has replaced bolt-action, and the dart is now loaded from the top. While I don't have an internals pic to share at the moment (will update later), I can confirm that it's the same internal setup as a Hunter, albeit with a bit more plastic and rigidity to accommodate the pump-action abuse these will be receiving from kids everywhere. Even so, the redesigned shell promises many new modding possibilities compared to the original shell. For $10, I'd call it a good buy. Finally, we have a blaster I almost missed - it was all the way up top. Due to the lack of info on the website, I originally thought it would be a Double Shot repaint of some sort. Fortunately, I was wrong. It's possibly the most exciting of the new off-brand releases: the Double Barrel Blaster. 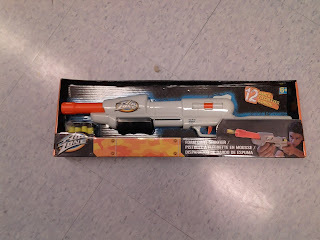 This $13 piece of plastic fires what appear to be mongo (1") darts, at an advertised 30'. Examining it in its packaging revealed a few thing: the charging handle up top primes what appears to be two distinct plunger tubes, which both fire at the same time. 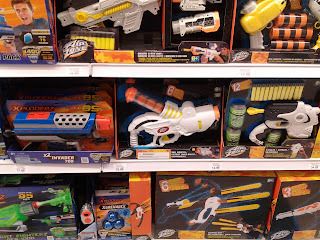 The darts are loaded into the front of the blaster (no "shells" of any sort), and you fire away. If it works as advertised, then the plungers have to be massive to throw darts that size that far. Slap me silly if I'm wrong, but I think that this could potentially be the next great off-brand NIC primary. "Okay, I picked one of these up. Single plunger, though big. About 1.125" in diameter. The barrel selector works like that of the RipCord or Rattler, where the plunger actually rotates around. There is a ton of dead space between the air restrictors and the plunger, but that can be fixed with modification. Lastly... The darts are neat, but only 7/8" wide." Sadly, I didn't have any more money on me at this point. Rest assured, however, that I'll buy one on Monday and post a review and teardown as soon as I can!